Here it is on the 30th, just as promise. 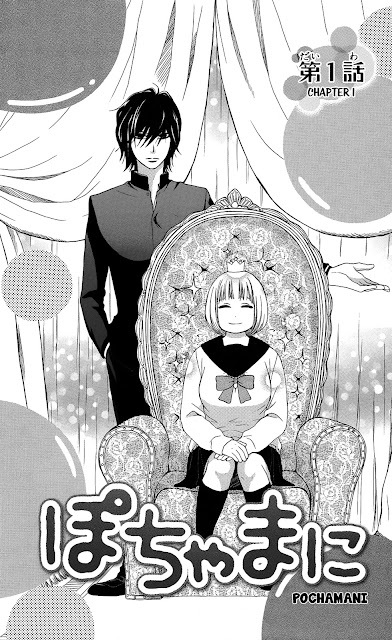 This is a cute short chapter with lots of laughs. It takes place directly after Robert comes back from talking to Sui. It's still not clear to me whether Robert is actually "Roberta,"... I kinda hope so because it makes the Black Twins far more interesting. 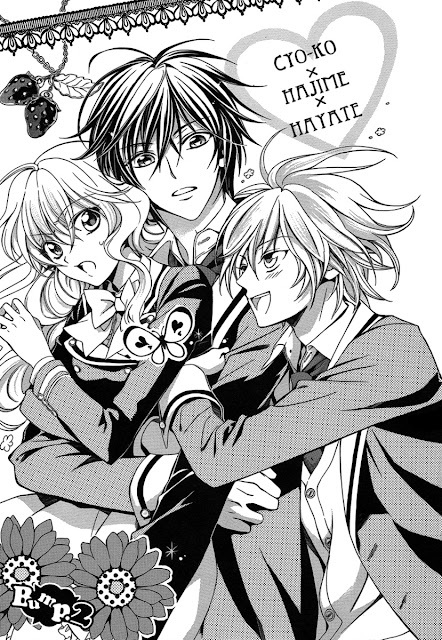 Anyhow, the twins seem very close like Sui and Ayato and I like that. "Ojousama no Untenshu" Chapter 7 -- THE ROMANCE!!! I have read this chapter a great many times. This chapter of "Ojousama no Untenshu" is currently my favorite thing (next to the apple pie I ate last night. Man, do I wish I had more of that.) Anyhow, it's the chapter we've all been waiting for. When I saw this chapter in Lala DX a couple of years ago, I knew we had to translate this series. OMG! SO FRIGGIN' ROMANTIC!!! Okay, I won't keep you from your romance any longer. I need to take care of a couple of bits of business first. To see highlights of the stuff in the manga magazines I enjoy, please see the Omari's Sister Tumblr. I've just post entries featuring the latest from "Akagami no Shirayukihime" and the latest issue of Hana to Yume magazine. 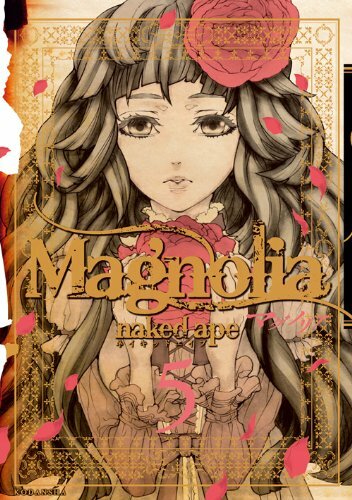 Onto to Magnolia chapter 26! This chapter completes the childhood flashback. I'm sorry to report that we still don't learn anything about what happened to Ayato as a child, but we learn a whole lot more about Nagi's feelings for Ayato. At this point I think Nagi should should go for it. It'll make the situation go a lot smoother for Ayato. But, alas, the story must go on. Anyhow, this is one of my favorite chapters. I couldn't stand sitting on it for this long because I really wanted to read how you all feel about what happened. So please send in comments :). It's been a while. This is one of the series we've had on hold because I made the group bite off more than it could swallow. This wasn't fair to my group and this wasn't fair to the readers for this blog. I'm sorry about that. I still can't promise regular releases of this series because we don't have enough redraw support at the moment :(. If you can do complicated redraws and want to see this series on a more regular schedule, please contact me at omarissister@gmail.com to volunteer. 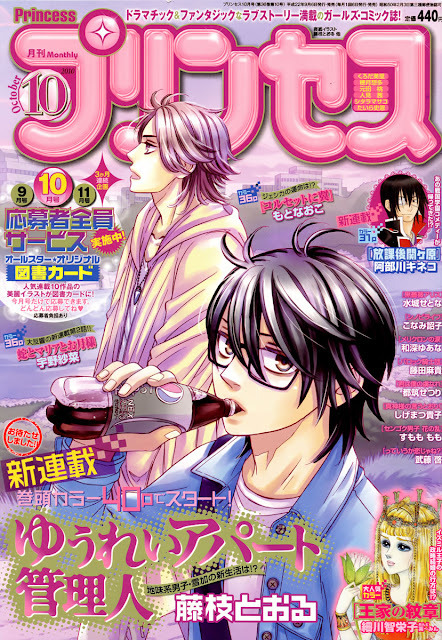 Moving on, this series is coming to an end at chapter 12 (plus an omake) in Asuka magazine this month. 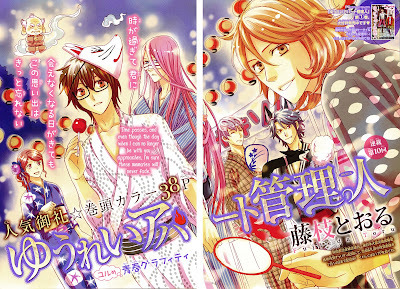 I skimmed ahead and it's a really cute and compact series. I'm happy that it's not dragging on longer than 3 volumes. We will try to finish the series as soon as possible. 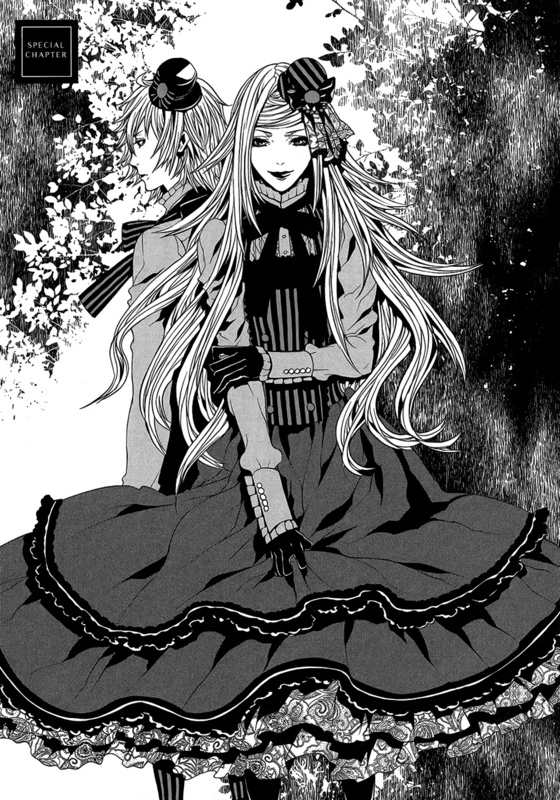 Anyhow, I really liked this chapter and I'm eager to get onto chapter 3, which I've already started to translate ^^. Onto the release! First of all, Omari's Sister is in desperate need of proofreaders/Qc'ers and redraw artists. Redraw artist folks, I understand you can't help year around, but if you can lend some time during winter break, we'd be eternally grateful. If you are interested in volunteering for the group, please contact me, Kuroneko003, at omarissister@gmail.com. I've been sitting on this chapter for about 6 months. It was cleaned, but I never got around to translating and lettering it. That was incredibly silly of me considering that it only took a day and half to finish the chapter. DOH! Anyhow, here's chapter 10, and chapter 11 is presently under way and will be released in December. This chapter ends the second volume of the series and winds down Crook's main arc. Chapter 11 will begin Tatsumi's story. I never thought of Crook having pink hair as shown in the frontis page spread. I assumed it was black with a white streak. I don't want to say too much about this chapter because I'll only spoil it. But I do wonder what Leo is up to and all the talk of suicide makes me wonder if my suspicion that Leo killed himself is true. Anyhow, I'm eager to resume the series. It's currently in the mid-20s chapter wise and things have gotten interesting with Leo. I think, though, that things are coming to an end and maybe this series will end with 6 volumes. I would really hate to see this story killed off because it ran too long. Anyhow, without rambling on further, here's the release! "The Ghost Apartment Manager" is returning to Omari's Sister any second now! If you've never read this series or need a refresher, here you go! This is one of our most under appreciated series, but I think it's among the best, so I highly recommend giving it a try. The first chapter is really sad, but after you get past the sadness, I promise the series is very funny and poignant. Here are the results of Halloween oneshot poll! 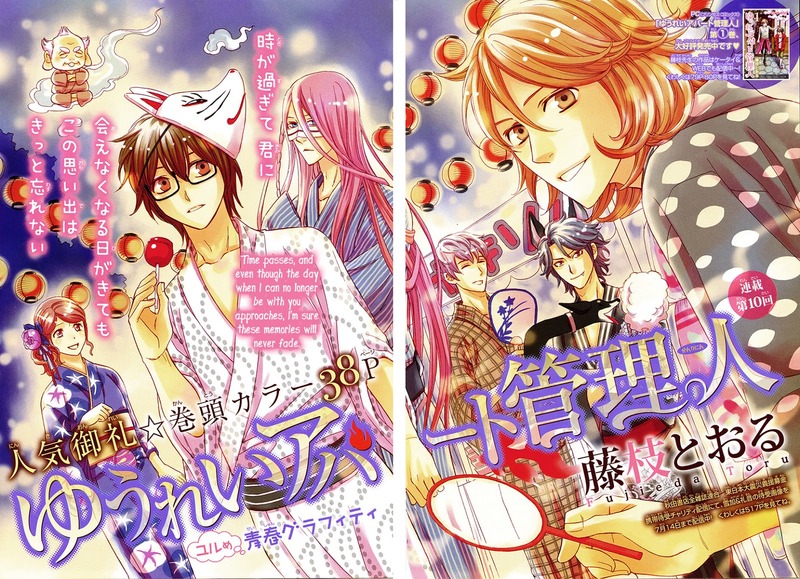 I feel bad that we aren't taking on the "F no Meikyuu" series given the oneshot's favoritism. Hopefully, a group will pick up a series. Thanks to everyone who gave us feedback. We aren't planning to do another oneshot party like this until our anniversary in June. Until then we will be cutting back on the oneshots so we finish the series that have already been completed in Japan. After we finish the series, we'll started we'll do more oneshots again. First of all, things are about to get a little confusing. 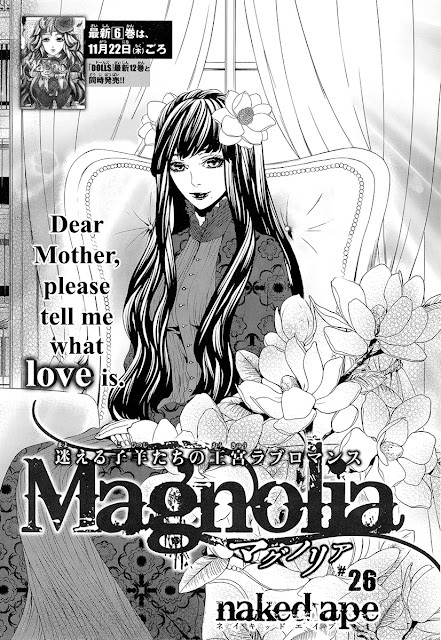 Chapter 1 in the magazine, which we've already translated, is chapter 3 in the tankoubon. I knew about this chapter (chapter 1 in the tankoubon) because it was the initial oneshot, but I wasn't aware of the second oneshot, which is chapter 2 in the tankoubon. Sigh.... Anyhow, there are a few extra page in chapter 3 in the tankoubon, which was chapter 1 in the magazine, therefore we will re-release the chapter along with chapter 2, so you can get the extra couple of pages. Are you confused yet? Anyhow, we won't be re-editing the chapter 3 images from the tankoubon. I think I did a good enough job restoring the pages from the magazine. In combination with that, series we thought were short have been extended. This is the case with "Pochamani" and we anticipate a continuation of "Hakamori Majo Bianca" in 2013. We all love new series, but I think we need to finish up the series we're already working on before we take on anything new. Most of this is imposing discipline upon myself and not overworking the limited staff currently available. We will be taking on the new series we have announced, but given the amount of work we still have, I do not anticipate starting new series until June. At that time we will announce additional new series on top of the four we've already announced. Of course if other groups start the series we've announced, we will reconsider, although we will go forward with "Megane no Incubus-kun" regardless, because we've already done too much work on it to stop. File Format: PSD with separate text layer preferred, but JPEG and PNG are fine too. Send them to me, Kuroneko003. Here are the statistics for October. Which oneshot do you think was read the most? The second most read was a big surprise to me. I should probably revisit those numbers at the end of November because many of the oneshots that were released last week are still being read. Take the survey and let us know which October oneshot you liked the most.